CE marking means that the product complies with European standards and legislation. 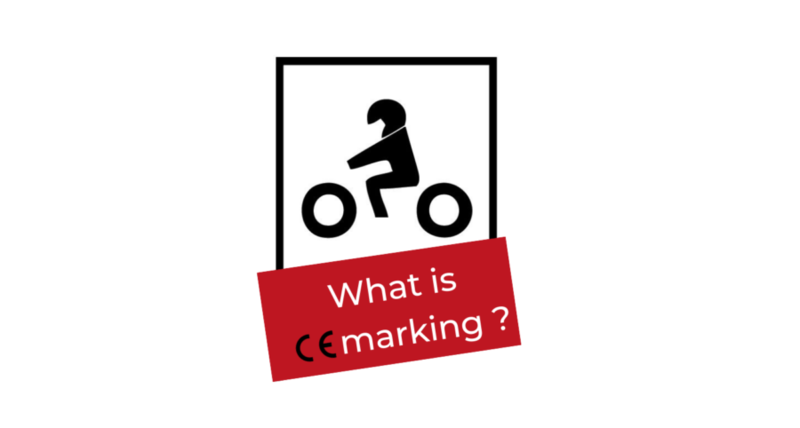 CE MARKING IS REPRESENTED BY A LOGO. It indicates that the product has been tested, controlled and complies with European requirements. What is a norm ? A norm is a set of rules laying down the conditions for the development of a product for which we want to unify the use. Compliance with the norm and the attribution of the level of the norm as well as the CE marking is entrusted to neutral bodies. 1621-1: Norm for the protection of joints. 1621-2: Norm for back protection. 1621-3: Norm for thoracic chest protection. Level 1 is the basic level of the norm. Level 2 is the highest level of protection. A protector labelled level 2 will pass 2 times less energy through its material and thus protect the body twice as effectively. 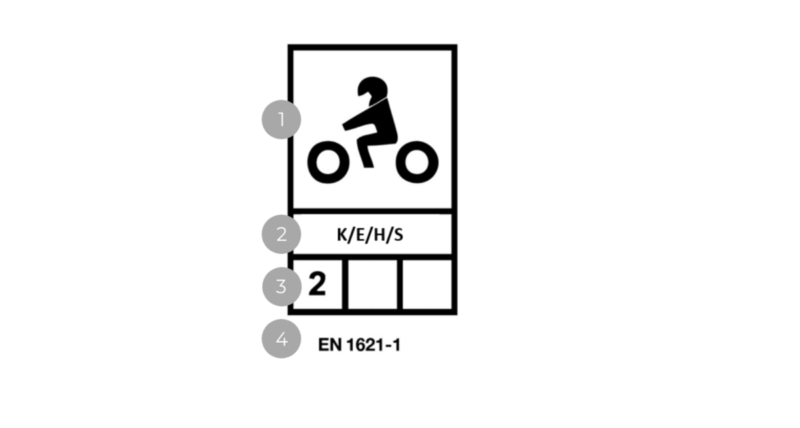 How to read the pictogram? 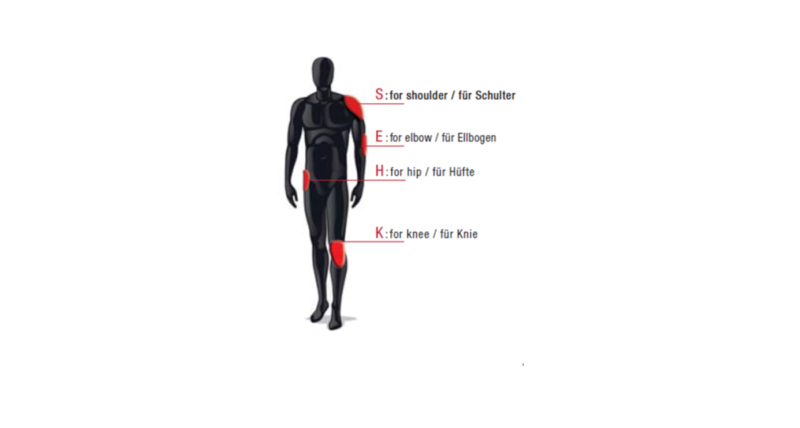 (K: Knee, E: Elbow, S: Shoulder, H: Hip).